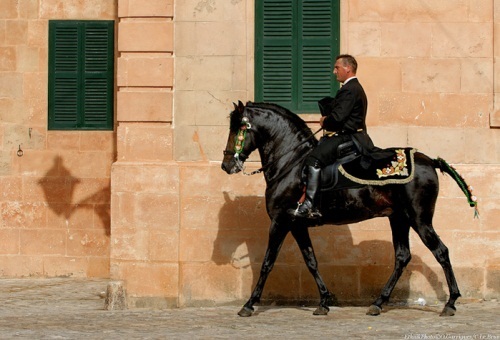 The Menorquin Horse or simply Menorquin is a breed of horses native to Menorca in the archipelago of Balearic Islands, Spain. 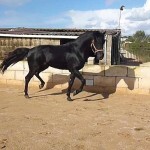 This Baroque horse, with a slim and majestic silhouette, is associated with a particular riding style called the doma menorquina (Spanish for Menorcan dressage). 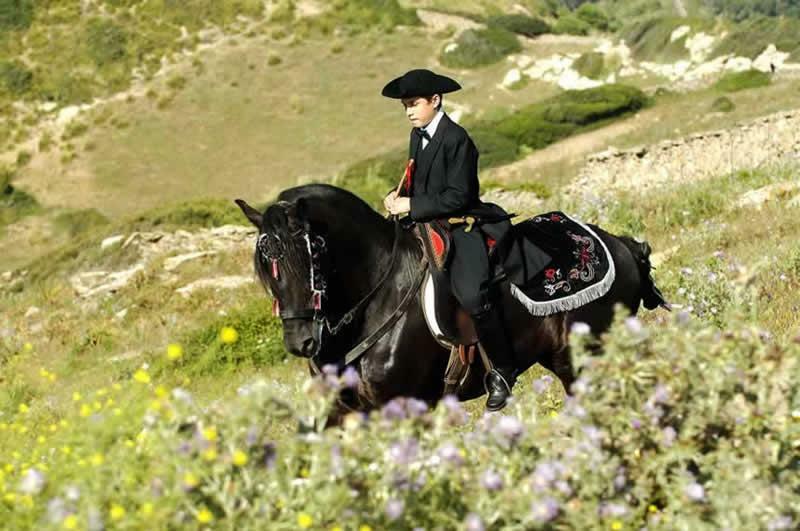 Since it has suspended and elastic movements, the Menorquin offers a smooth and relaxed ride. 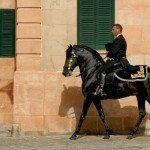 The Menorquin horse, being officially recognized and enlisted in 1989, is regarded as a relatively young equine breed. 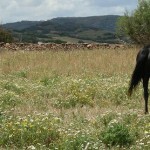 However, the Menorcan people have long remembered it as a livestock breed whose existence in Menorca was justified by the Roman author Cayo Plinio Cecilio Segundo in his writings dating back to the 1st century AD. 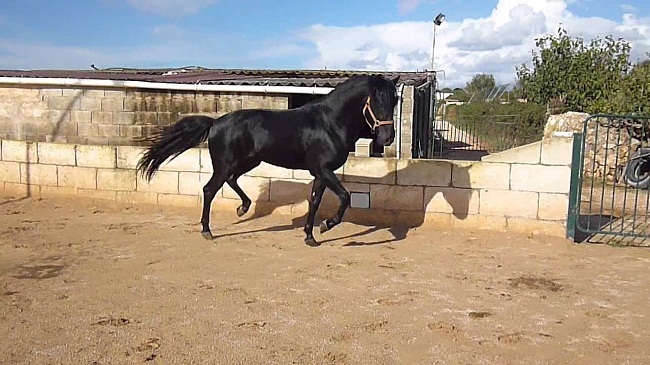 Though its pedigree is still unclear, it is thought to have evolved due to a cross between English Thoroughbred, Andalusian, and Arabian. 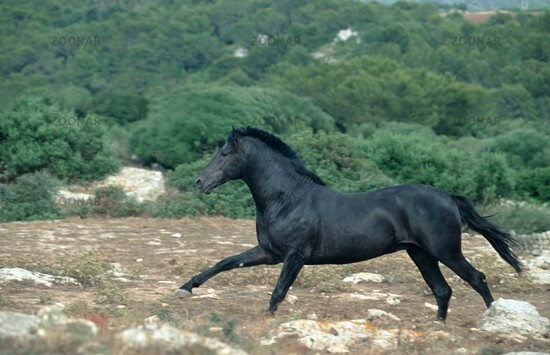 As Menorca was ruled by the Moors during 903-1287, some sources have linked the ancestry of Menorquin horses with the Barbs, while others believe that the horses were imported to Menorca by James I of Aragon. 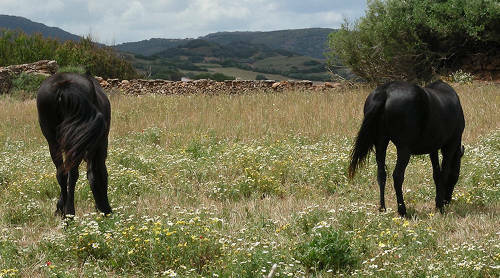 Nevertheless, these horses have been included in the group of native Iberian horses that once contained the extinct Catalan horse. 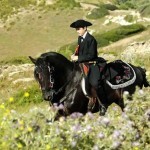 An association of breeders called the Associació de Criadors i Propietaries de Cavalls de Raça Menorquina was set up in August 1988. 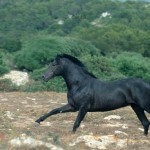 In 2011, the population of Menorquin horses decreased to 2995. 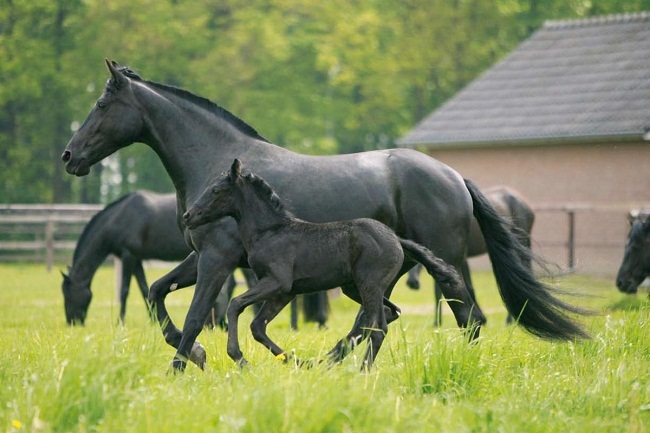 The Food and Agricultural Organization has now listed it as an Endangered Breed.